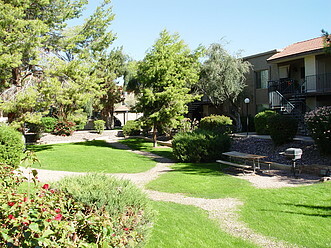 Desert Springs Apartments is a great place to live! 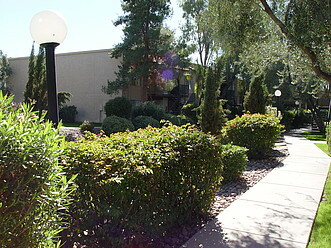 Desert Springs Apartments is a small gated community nestled within tall pines and mature landscaping which creates a private, tranquil atmosphere. 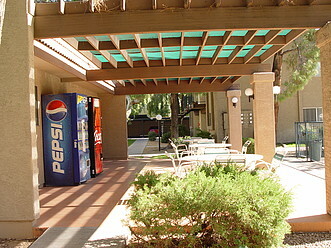 Our community features a large swimming pool, oversized heated spa, 24 hr laundry facilities and a brand new party room for 2016 to hold your special events. 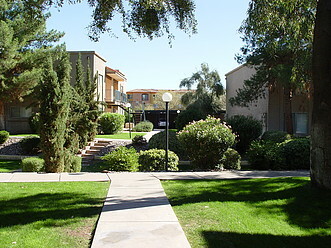 Our leasing office is open Monday through Friday from 9:00 am to 6:00 pm and Saturdays from 10:00 am to 3:00 pm for your convenience. 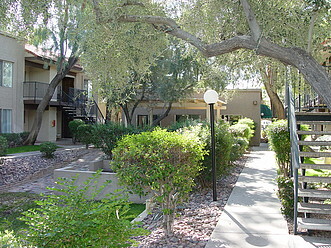 We are conveniently located only 5 mins from the 101 and 51 freeways and just blocks from major shopping. 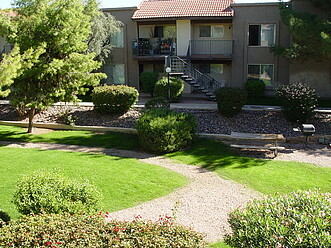 Stop on by and see for yourself- Desert Springs is a great place to live! 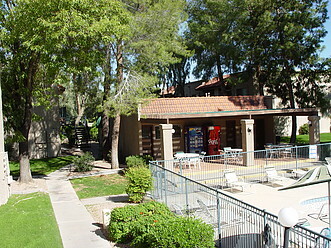 Our property features a large swimming pool, oversized heated spa (room for 15), a 24 hr coinless laundry facility, and a large party room equipped with a kitchen. 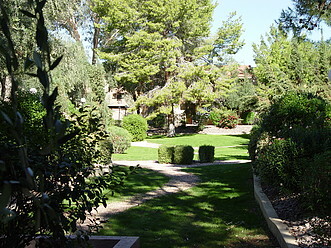 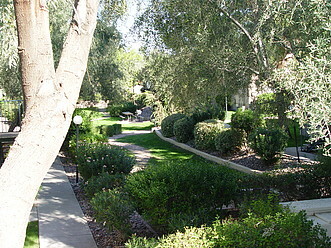 We keep our grounds immaculate and they feature tall pines, lush landscaping, and mature trees. 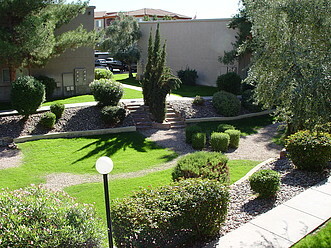 We are a gated community with covered, assigned parking for each of our residents.